Review: Syfy has given a series order to “Deadly Class,” based on the Image Comics graphic novel of the same name by Rick Remender and Wes Craig. The cable network ordered the show to pilot back in September. 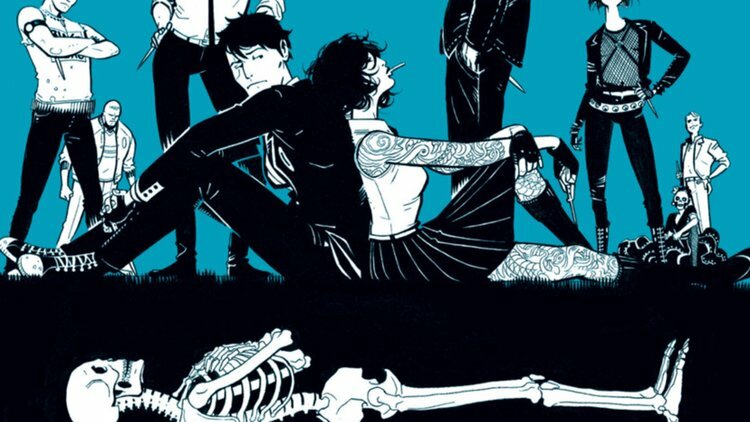 “Deadly Class” was adapted for television by Remender and Miles Orion Feldsott, who will serve as executive producers alongside Joe Russo, Anthony Russo, and Mike Larocca. Adam Targum from Chipmunk Hill also served as executive producer on the pilot, along with Lee Toland Krieger, who also directed. Sony Pictures Television and Universal Cable Productions will produce. The series will star Benedict Wong, Benjamin Wadsworth, Lana Condor, Maria Gabriela de Faria, Luke Tennie, Liam James, and Michel Duval. Amazon, meanwhile, has been making a push into genre fare under the new programming direction set by company CEO Jeff Bezos. Last week, Amazon gave a series order to “The Hunt,” a drama about Nazi hunters in New York with Jordan Peele attached as an executive producer.